Minecraft 1.2.5 has been planned for a few days now, but Jeb wanted to wait for modders to catch up to the new changes. This time around, things should run a lot smoother than they have been in the past with updates. The main reason for this is that if you update your client to 1.2.5, you will still be able to connect to 1.2.4 servers! This update has tons of bug fixes, several of which I'm pretty excited for. They also added a few nifty changes that may not dramatically effect your gameplay, but will help save time in the long run! 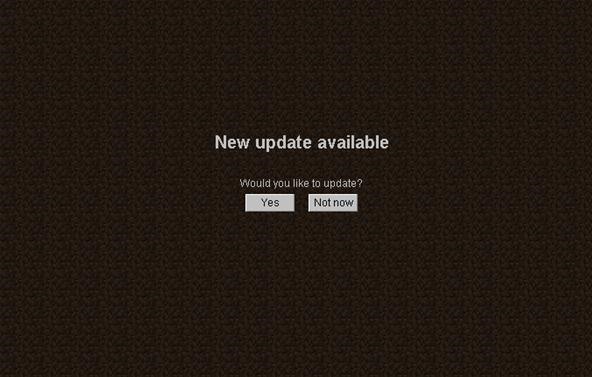 When you launch Minecraft and click Login, you will see the "New update available" window pop up. All you have to do is click "Yes" and 1.2.5 will begin installing! As I mentioned before, 1.2.5 clients are compatible with 1.2.4 servers, so you won't have any issues connecting to multiplayer servers! Mods like Optifine, TooManyItems, Rei's Minimap and more have all been updated to 1.2.5, so be sure to get the appropriate version when reinstalling! Texture packs will not be any different from 1.2.4 to 1.2.5 as there were no new items introduced, so that's one thing you don't have to worry about! Have you updated to 1.2.5 yet to check out the bug fixes? Do you keep updated with all the planned future releases? Where's your favorite place to stay up-to-date on Minecraft release information? If you have any questions or comments, feel free to leave comment at the bottom!